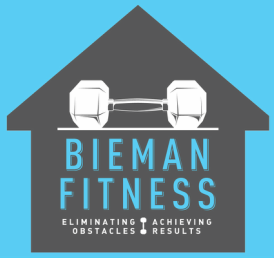 Bieman Fitness provides high quality personal training to homes and businesses. 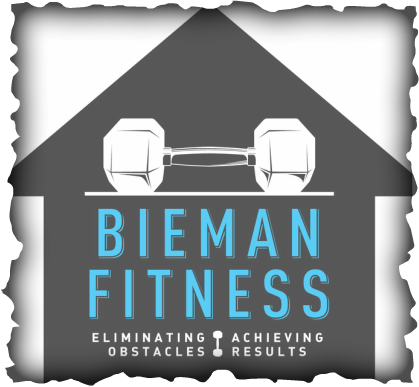 We eliminate obstacles and achieve results for a large audience including corporate executives, older adults, elite athletes, and youth. Our major focus is to improve client health and to achieve goal(s) they have set for themselves. No more driving to the gym. Save time on creating a workout program, waiting on equipment, and travel. No more wondering what you should do, we've got you covered. We monitor client progress in categories such as aerobic fitness, waist circumference, body composition, muscular endurance and strength. Our experts create programs designed to be safe and effective for you. Away on a business trip or vacation? We offer skype sessions when you are away to keep you going. We bring the equipment and accountability to you!